Welcome to Davis Chevrolet GMC Buick (formerly Airdrie Motors) - a proud member of the Davis Automotive Group. We look forward to providing new and used vehicle sales, parts, service, body shop and financing to Airdrie, Calgary and surrounding areas. We pride ourselves on our outstanding value, competitive pricing and small-town service. 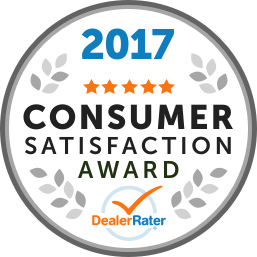 From new Chevrolets, Buicks and GMCs to our GM Optimum Certified Used Vehicles, we will find your dream ride. To take care of your new (or new-to-you) baby, our highly acclaimed Goodwrench Service has you covered. Looking for parts for your car, interested in financing options for the latest in SUVs, had an accident and need to get into the Body Shop quickly? 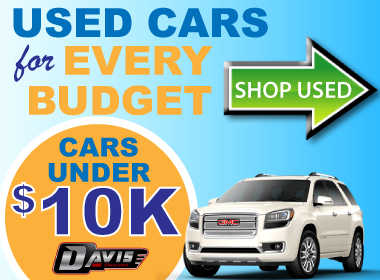 Davis Chevrolet GMC Buick is your community GM Store and can help you find what you need and stay on budget. Our customer relationships are very important. We don’t just want to get you a great deal on a truck or fix that weird squeaky noise in your brakes – we want to make your experience so positive that you wouldn’t go anywhere else. We’d like to welcome you into the Davis Chevrolet Buick GMC family, so call or drop by – we think you’ll like the difference. AMVIC Licensed. My positive experience at Davis Chevrolet was due to working with Jordan Laporte. Jordan went well beyond what could be expected in his willingness to secure information associated with vehicle inventory, vehicle customization options, financing options, trade-in valuation and process, insurance and ownership and timing for execution of our deal. Jordan was very swift and professional in all of his communications and offered a low-stress, high-confidence environment that made a new vehicle purchase (+ trade-in + financing) very easy and enjoyable. Both Mason and Tzana were great! They made it really fun. Best experience I've ever had in a dealership. Tzana even drew me an autographed picture. A quick thank you to Brandon in the Service Department at Davis Chevrolet GMC Buick in Airdrie. I bought a new Chev Colorado from another dealer and when I took it in for its first free oil change at a dealership in Calgary I asked them to check the fog lights as they would not come on. They reattached the fog lights after pulling some of the front end off but advised me that it could not be covered by warranty as it was the result of an install of the illuminated Chevrolet logo on the front that was done by Davis Chevrolet in Airdrie. They suggested I contact them and ask if they would cover the labor bill. I emailed them not expecting they would do anything but to my pleasant surprise Brandon contacted me and covered the costs. I was surprised to say the least but it is very refreshing to see a dealership that stands behind its customer service guarantee.